Wedding Accommodations Duck, NC. Love is a feeling that defies words, yet on the Outer Banks, at the Sanderling, you’ll find your love complemented by the glory and magnificence of the landscape, the steadily rolling waves and the constantly calling seabirds – all of which combine to reinforce what we already know—that your love is special, oceanic in force, and deserving of celebration absolutely nowhere else on earth. Nestled between the Atlantic Ocean and the Currituck Sound, Sanderling Resort offers a Soundside Pavilion for up to 180 people and an Event House with outside deck and firepit for up to 80 people. Ceremonies are available on the beach, Event Lawn or Observation Deck. 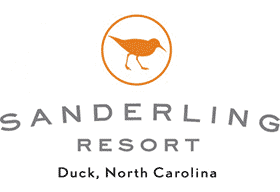 The Spa at Sanderling offers full service hair, makeup and nail treatments. On March 9, 2019, Sanderling Resort will host the Outer Banks Meet + Greet with its preferred vendors from 5pm -9pm. Couples will enjoy quality one-on-one time in a cocktail setting at the Pavilion followed by s’mores at the firepits with the vendors. 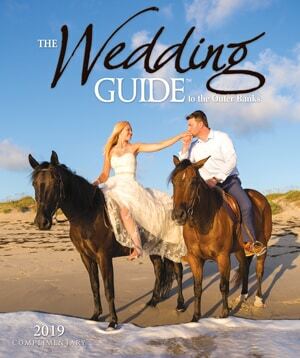 Everything you’ll need to plan your destination wedding to the Outer Banks, under one roof, set against the beautiful backdrop of bright sun, sea breeze, and the beauty of North Carolina. You don’t need to be a Sanderling bride to take advantage of this great opportunity.